MORE THAN A BASEBALL CAP! 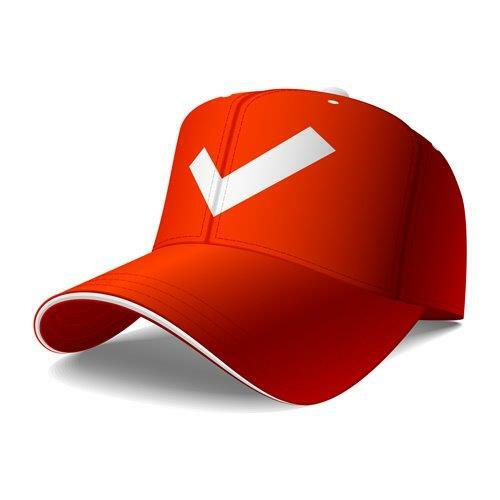 When we say “branding” we are not limiting the discussion to putting a logo on a baseball cap. We are not talking about website, company letterhead, or big balloons with your name brand’s on them. When we speak of branding, we are talking about the comprehensive process of identifying, executing and mastering the myriad of ingredients necessary to build a brand, not just a creative process. Many brands have been created and failed. We’re sure your closet is full of baseball caps with logos whose brands can no longer be found. Logo. Sure, when we started out we bought into the popularly held misconception that it was all about the logo. And we did do a lot of research before designing our logo. We found out that, from a recognition standpoint, it was more powerful if the name was the same as the image. The image had to be visible from 4 feet away so she could see it from her cart in the store. So much for fancy curlicues. The image had to be centered with a lot of white space around it so it was clear and could be picked out of the panoply of other products vying for attention. The list goes on to include color, fun, identification, and so on. But the idea that a well-designed logo and label was going to carry the day was totally wrong! Image. It took us a while to figure out how complicated brand image was. For one thing, we thought we were projecting our brand image on our customers, but found out later that our customers were in charge! The image they saw represented the brand promise they expected, and we had better live up to that promise! That complex expectation included the shelf and display positions, all the trade dress, and the quality of the product itself. And it included pricing, which positioned us between other products they already knew allowing them to make a value judgement. All the great branding in the world will only get you the first purchase. To truly build a brand, you need reorders. So consistent quality, price and availability also play into branding. And now we are into quality control and distribution management! So much for artwork! Cause. One of the more ethereal but increasingly necessary components of branding is what your brand stands for – beside quality, price, utility, recognition, and dependability. Is there some cause that your brand image, company, or ownership is keen on beside the mercantile product it represents? For us, we had a foot image on our label. It related to our product as the winemaker’s footprint, but it simply was a bare foot. It messaged the idea of barefooted recreation. And you wouldn’t want to put your bare foot on a dirty beach or in polluted water. Hence, we supported clean beaches and clean water causes. We “stood” for something socially beneficial. This gave our brand a halo effect that increased loyalty and advocacy – much more so than a cute logo or a compelling catch phrase was capable of doing! So, no, it’s not just “one thing.” Successfully branding your product is the careful orchestration of a multitude of factors all focused on becoming and remaining your customers’ brand of choice for products in your category – not just a logo on a baseball cap!